In 2016, the procurement and logistics department made 125 shipments. Globally, it represents about 68.2 tonnes of equipment shipped or 476 m3 of equipment and consumables transported in 273 pallets and parcels. By comparison, the procurement and logistics department made139 shipments in 2015 corresponding to 15.5 tonnes in total. This rapidly expanding department is a key element for the smooth running of our operations locally. 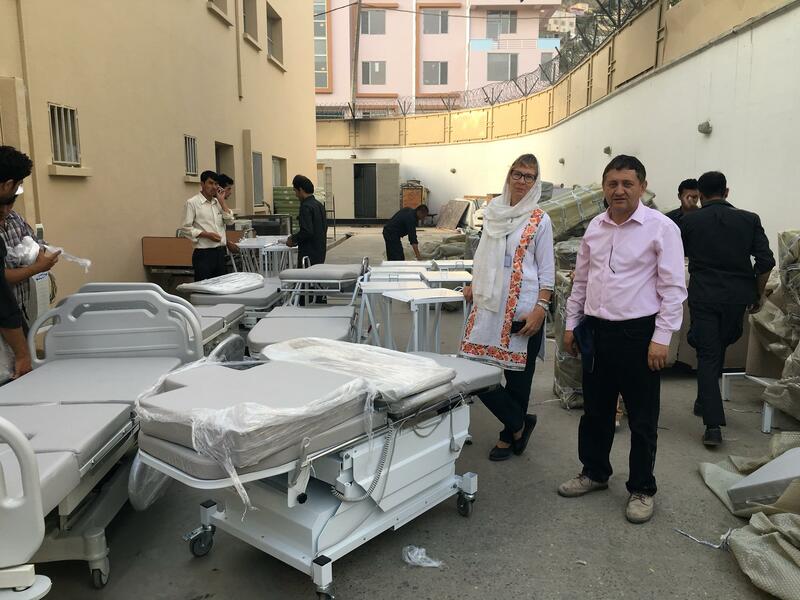 41.6% of the shipments of supplies related to The French Medical Institute for Children (FMIC) in Kabul and the new Cuomo Centre for Paediatric Cardiology (CCPC) in Dakar with 33 shipments made to FMIC and 19 to CCPC.